Aesculus parviflora or the Bottlebrush Buckeye is a spreading, multi-stemmed, suckering shrub that creates a neat bun-shape from stems that grow up from the roots. It has quite strongly veined leaves that grow in clusters of five and are downy on the undersides. Spikes of spidery, creamy white flowers around 20-30cms long are produced in late summer that have pinky stamen. They like humid conditions and shelter from strong winds. They go well in rolling lawns of medium to larger gardens where the late summer blossom makes an attractive sight. They also suit woodland gardens very well. Soil: Deep and moist, but well drained soils are best with plenty of added organic matter. Maintenance: Little maintenance is required. 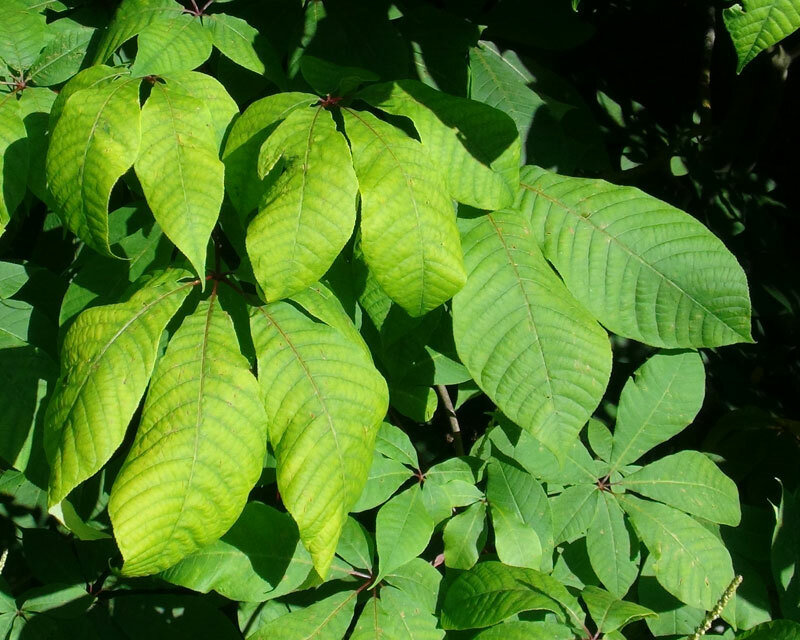 Diseases: They can be susceptible to canker, leaf blotch, scale, and Japanese beetles. Anthracnose, rust, and powdery mildew can also be a bother from time to time. 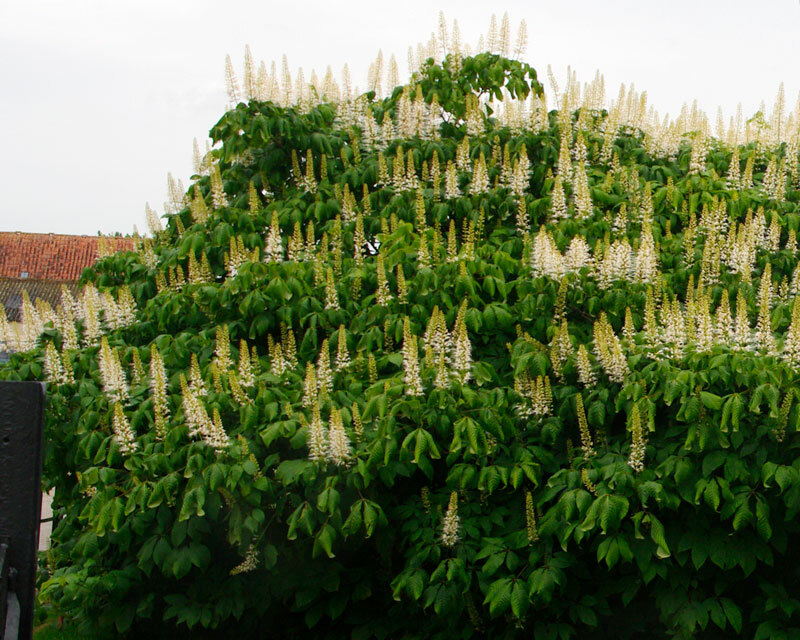 Other Species: There are around 19 species in the Aesculus genus of flowering trees and shrubs. 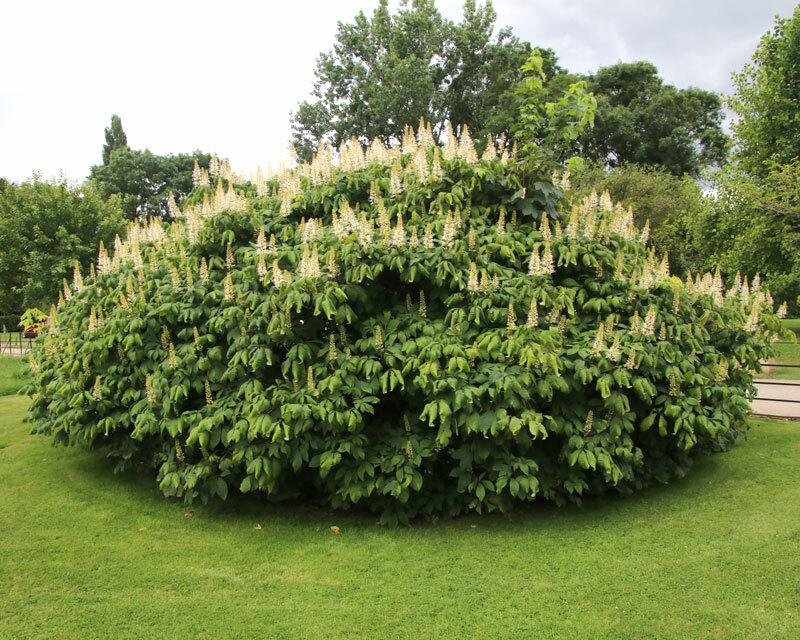 Comments: Aesculus parviflora has gained the Royal Horticultural Society's Award of Garden Merit.